OMG, when are you coming to my house to cook? This is a lovely breakfast! 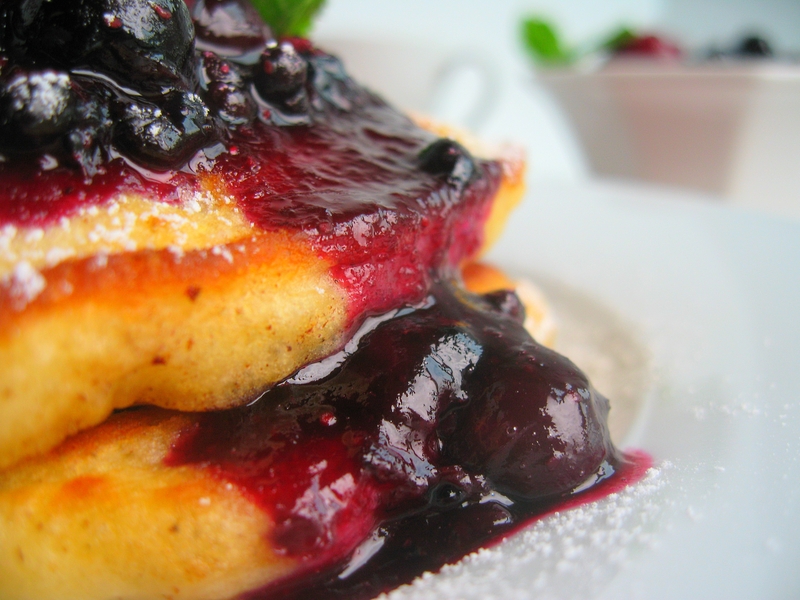 Beautiful blueberry pancakes, I think it’s nice to dream about berries, good for you! Thanks for responding to my question about sugar in the shortcakes, I used to make shortcakes for a well known chef in SF who disliked sweet shortcakes so when I read your comment I was curious to get another take on the subject. 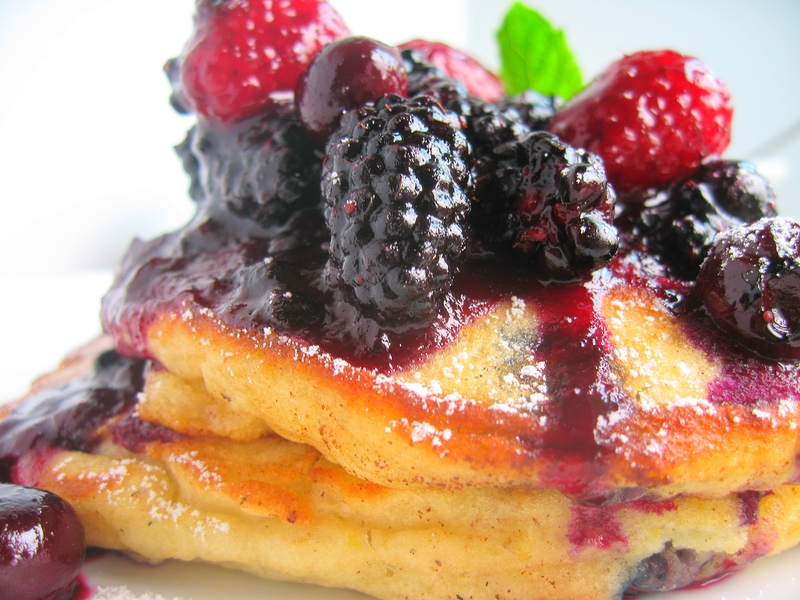 those pancakes look incredible! 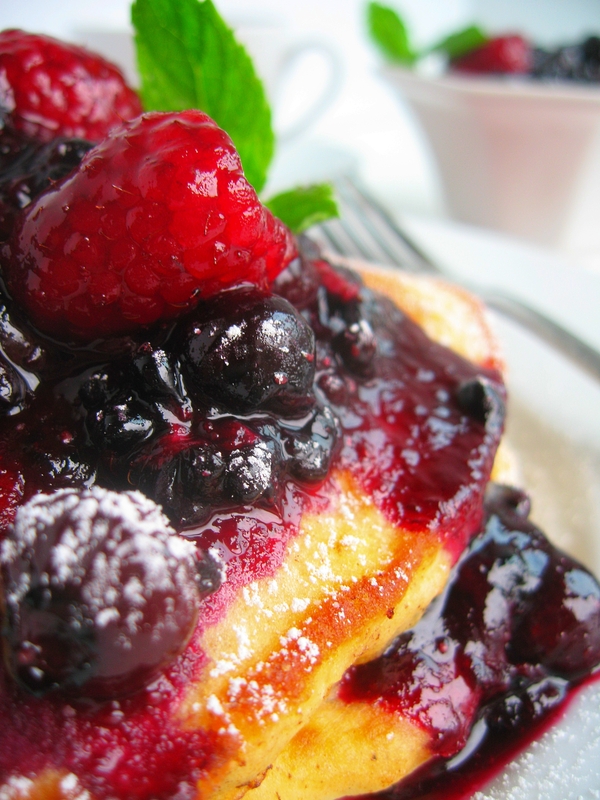 those luscious fresh berries are amazing! Now I am going to be dreaming of those pancakes! My goodness, you make that sound easy! Seriously, those are some awesome picture. I really wish I could get into pancakes for breakfast. 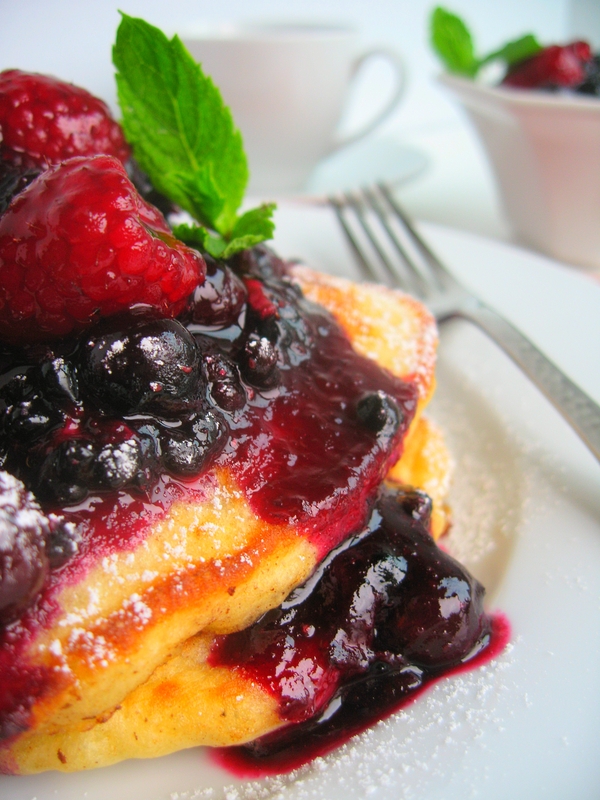 I’m just a salty/savory/egg breakfast kind of lady–and pancakes just seem like dessert to me! But, that said, I would love it if you made me those pancakes! Ohmygoodnesss how heavenly do these look!? NomNoms! I am so glad I came across your blog! I LOVE IT! I am looking forward to following you and seeing more of your amazing recipes! Those pancakes look absolutely divine… I so rarely have pancakes, but this is the perfect recipe and it’s now giving me a massive craving for them. And the compote… words cannot express how delicious that looks. warm berries. on pancakes. i’m usually a waffle kind of girl, but this post just might get me flippin’ hot cakes in the near future. i love your photography, btw. your pics make me hungry! wow! that looks super good. super, super good! gorgeous pics! very enticing! i will definitely try this one..